TREX Special Agent Spencer Allen has been waiting to take the lead since he first started with the covert agency. He’s earned his place as his team’s CO and is given a mission that could make or break his career. The night before he deploys, he decides a little R&R is in order. 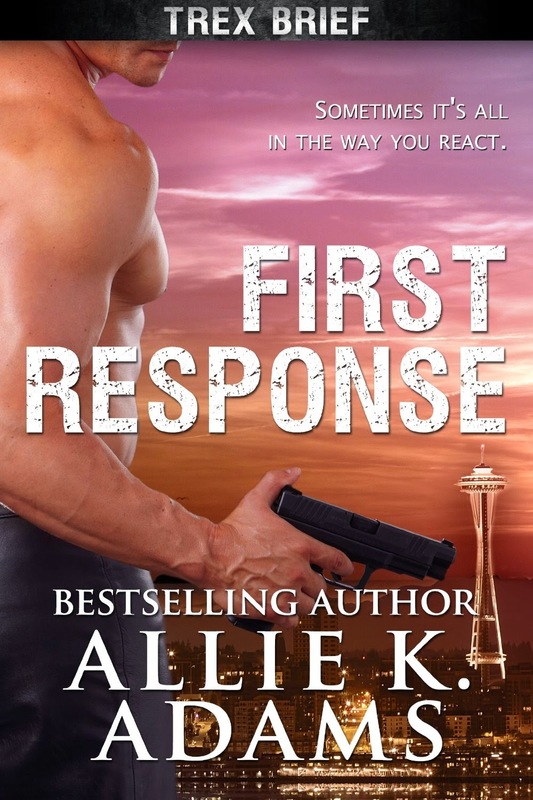 He meets the CEO of the search and rescue group TREX contracts with, takes her home, and they have an unforgettable one-night stand, despite TREX’s strict policy not allowing agents to get involved with members of competing agencies. Kat Davis didn’t expect to be swept off her feet by a member of the egotistical men-in-black agency that orders her agency around on searches. He says all the right things, touches her in all the right ways, and makes it impossible to resist him. It’s only one-night, she reasons. She’s not ready to commit to more than what they’ve already had together and quickly retreats, leaving Spencer confused and angry. Spencer completes his mission and has a decision to make–one that could give him an ounce of happiness, the other the right thing to do. Will he do the right thing? Or do what’s right? 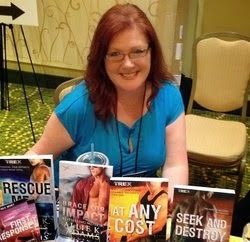 Allie K. Adams is the USA Today and Amazon #1 bestselling author of several award-winning stories. An active member of the search and rescue, as well as previously served as a reserve deputy, Allie has firsthand experience in most of the dangers she writes about. Known for her highly blazing, deeply intense suspense romances, she can be found most days in front of her computer, saving the world one sizzling story at a time. She grew up in Seattle and now currently lives in southwest Montana with the hubs and various other wildlife. She loves to hear from readers and encourages them to reach out to her through her website at www.alliekadams.com. Posted in Author Biography, Author Spotlight, Book Blitz, Links, Penny Stephanie, Synopsis. Bookmark the permalink.